Mr. Hansell is a partner in Cooper, White & Cooper LLP and practices business law with principal emphasis on serving clients in communications, transportation & logistics, retailing, service and technology industries. His practice focuses on the development, acquisition, management, operation and sale of businesses; media and First Amendment law; telecommunications law; real estate; privacy and data security law; the organization of domestic and international business ventures; litigation and claims avoidance and management; retailing, marketing, and commercial transactions; and trademark, copyright, licensing and other intellectual property (IP) needs and assets. Mr. Hansell routinely handles stock and asset acquisitions, mergers, cross-border investments, trademark registrations, IP and proprietary licensing agreements, governmental franchises, multi-party management agreements and arrangements, executive employment and creative talent contracts, and bank and venture capital financings. These transactions include an array of associated arrangements such as employment, non-competition, consulting, franchise, non-disclosure, licensing, technology transfer, collaboration, technology development and other agreements. Mr. Hansell also manages the consent and compliance requirements of business transactions including federal, state and municipal franchise, licensing and regulatory requirements, and public and private contractual requirements. Clients working with Mr. Hansell are in a diverse range of industries including transport & logistics, telecommunications, broadband and Internet, cable and broadcast television and radio, e-commerce, online and print publishing, information technology (IT), consumer products, maritime cargo and passenger handling, a broad variety of service businesses, and trade associations, universities and nonprofit organizations. Mr. Hansell represents the primary television broadcast and wireless tower/antenna facilities in two of the six top U.S. metropolitan markets. 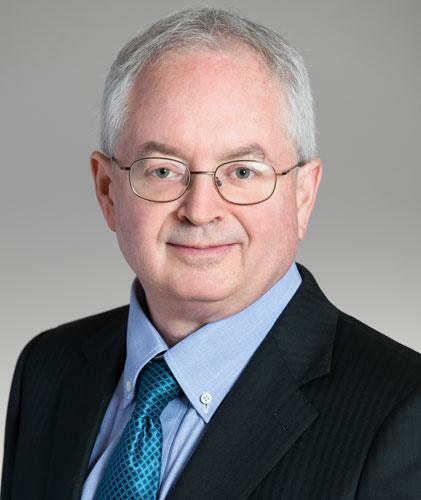 Mr. Hansell serves as outside general counsel for several substantial businesses, and as regular California counsel for businesses operating in California but owned by parent organizations in other nations and states. Mr. Hansell graduated from the Boalt Hall School of Law (University of California at Berkeley) in 1984, after obtaining a B.A. degree studying economics and Chinese (Mandarin) at the University of Illinois in 1981. He was also formerly state-licensed and registered as an investment advisor with the Securities and Exchange Commission. Mr. Hansell has been practicing business transactional and counseling law with Cooper, White & Cooper since 1984, and became a partner of the firm in 1991. He has written professional education material for the California Continuing Education of the Bar (CEB) in the fields of communications, employment and privacy law. He was an invited member from 1997 of the Group of Experts of the Electronic Commerce Project of the International Chamber of Commerce (Paris). Delaware LLC Managers Under Attack? Federal CAN-SPAM Preempts California SPAM Law? Memo To Communications Clients: Arbitration Cautions; VC Alert: Quasi-California Corporations; Outsider Harassment as Hostile Environment; Software Licensing Survey; USF Rural Support; “No” to Some City RFIs; CALEA for VOIP; Digital-to-Analog Converters?